Spain is one of several western European countries that continue to proscribe blasphemy in law and those accused can face very large financial penalties. The letter was organised after Spanish actor Willy Toledo was detained for a Facebook post ridiculing ‘God and the Virgin Mary’. Significant progress on blasphemy has been made since then with France, Malta, Norway, Iceland, and Denmark all having recently repealed their blasphemy laws. However, many countries around the world still have restrictive and harsh blasphemy laws. 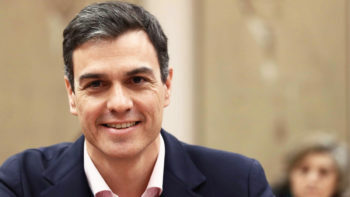 The proposals to repeal the law were brought forth by the Podemos party, and supported by the governing Socialist Party. ‘Blasphemy laws are an unconscionable violation of the right to freedom of thought, belief, and expression and have resulted in extreme abuses across the world where people have been murdered, tortured, or jailed just for expressing opinions about religion. ‘Spain’s archaic restrictions, which are still being enforced, are a dangerous breach of its citizens’ rights to think and speak freely. We support moves to abolish blasphemy laws in Spain, and around the world, and we urge the Spanish Congress to keep up its efforts to make sure this is passed into law. Humanists UK co-founded the End Blasphemy Laws campaign in 2015, coordinated by the International Humanist and Ethical Union and European Humanist Federation. Later this week, voters in the Republic of Ireland will decide whether to repeal their constitutional prohibition on blasphemy in a referendum.